Tomorrow kicks off the first official day of our internship program here. Even though we already have a few people here for the summer... we pick up some more tomorrow! It is my first intern year in Mexico... and I am super excited about the craziness it will bring! Coffee Shop Monday, Wednesday, Thursday and Friday4-7, One free cup of Coffee (regular) for the month of June. Maybe a friday movie night at the locales, or on the water tower. Here is the t-shirt... recognize the person? Sope's, hot days and laughing! 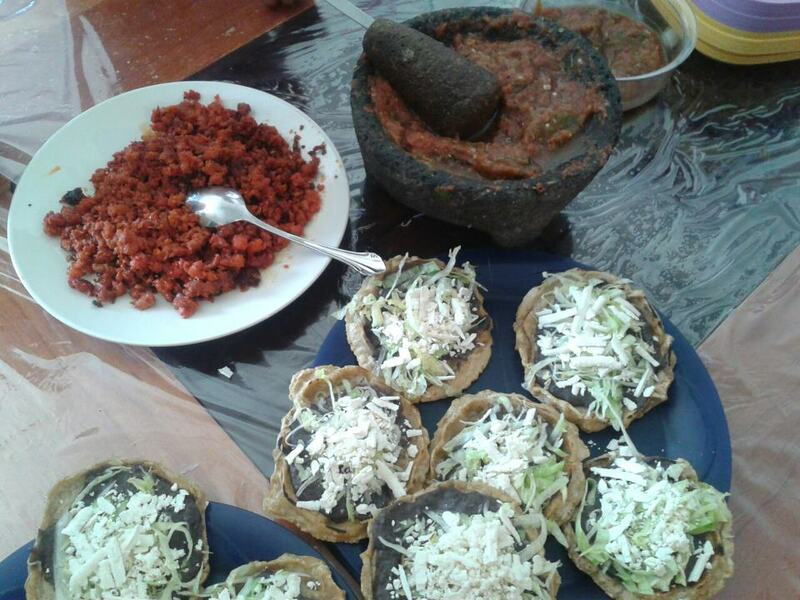 All of us were invited over to make sopes for breakfast yesterday. 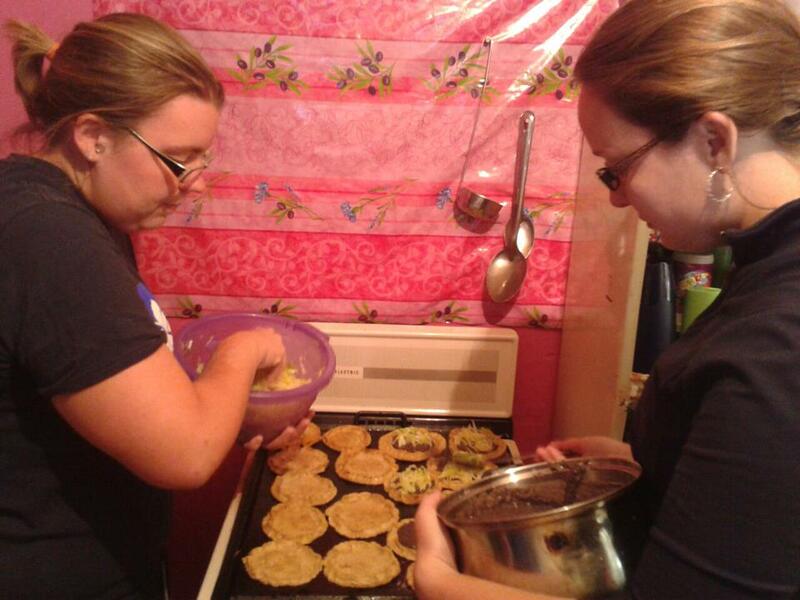 (Sopes are a thicker corn tortolla that you raise the edges a litte so you can put yummy stuff in it). It was a first for me! 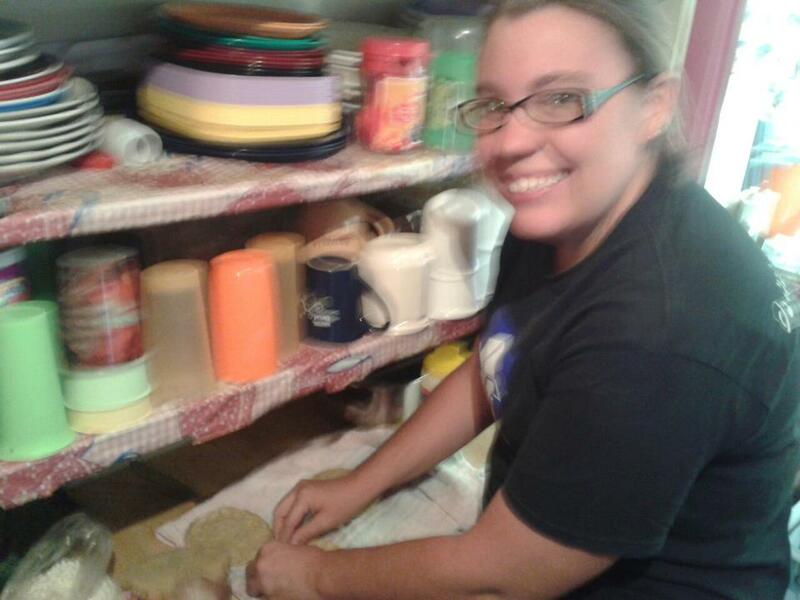 I've had sopes, but never had the experience in learning how to make them! Good food. good friends! Since we ended up spending much ofthe morning at Chela's house for breakfast we didn't make it to the gym... so tiff and I thought it would be a good idea for us to do our running workout outside.... running around Jesus Maria. If you are ever interested 2 times around is a 5k! It is alot harder running outside then on a treadmill.... but 3.5 of run walk DONE! And finally, Tiff, Fabian, and I went to sorianna to finish getting food for tomorrow.... we ended up lauging harder then I have in a very long time. Im talking streams of tears coming down my face, spitting out the liquid in my mouth, face hurting laughing. Good times! This is why we have the coffee shop! I get asked, by nearly everyone who knows about the coffee shop, if we make money. Well.... the answer is not even close! But, we don't do it to make money. This shocks people. How do you pay for it? Why don't you raise the prices? etc etc. The reality is this is a ministry to our community. It is an place to hang out, a place to talk, learn english (or more spanish in my case).... a place to build relationships! 2 girls showed up (they came to basketball yesterday) and wanted to practice english. That ended with a presentation of the Gospel. One other girl (Elizabeth) who has been coming the past couple weeks to study for her english exam to get into the college she wants to go to. The first day she came (last week sometime) her and I talked about what is different with Christians. Then on Monday we talked about it a little more. Today, Sophia presented the Gospel to her. Then we had two friends from Sendero de Vido 1 come visit us and have a little bible study and stayed to chat, it was a definete pleasure to hang out with them! Then to close down for the day we all prayed we got to pray for Elizabeth before she left. 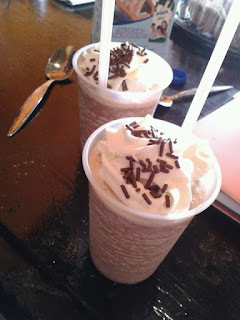 Of course we all indulged in cake, frappes and mochas (gave most of them away!) while this was all happening! Yesterday the Kubick family came over to Jesus Maria (they are spending the week in Puebla with the Prusia's). This family is a great family from my chuch that decided to spend the first week of their summer serving here in Mexico! When they got here we did a little tour of the community center and an abbrivated neighborhood tour. Then we hung out and ate with the other missionaries here in Ixtapaluca. 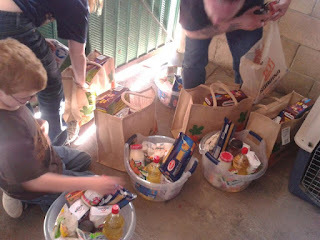 And finally, we went and bought a bunch of food, split it up, took it to four different houses in the neighborhood. As always, taking a thing of food to someones house ends in a 2 hour visit! It was a great time of laughing, praying and drinking coke! Sometimes it is the small acts of kindness that can impact a persons life.... actually it will impact the person recieving and the person giving. Our neighborhood is in some serious need of prayer. There has been some colorful activity happening lately. So this week, every morning at 8am we are walking around Jesus Maria praying. Praying for God to transform this community, for safety, for doors and hearts to be open etc etc. I have gone on several group prayer walks and never have I done them in silence. I liked it (even though the random dog or person would sometimes distract me!). And, on a fun note... the coffee shop got a new drink! 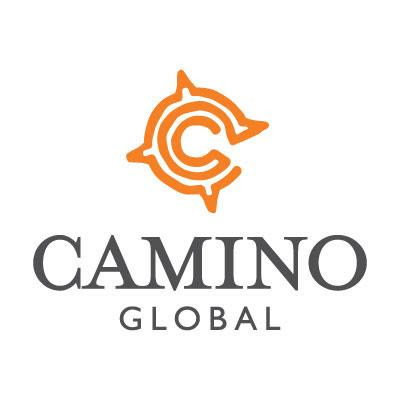 Today is the long awaited day that our mission organization CAM International officially becomes CAMINO GLOBAL! CAM International has a 122 year history of transforming the spanish speaking world with the Gospel of Jesus Christ! I am excited to see how God uses this organization and its amazing missionaries in the future! Well... not a ton! I think we have all been enjoying the last few weeks being a little calmer then normal. We still have normal church activities, coffee shop, some english classes etc. But, in a few weeks we will be super busy! We have Myhiah here (from the great state of NEBRASKA!!). She has been teaching (or at least playing) Basketball three days a week. I am super excited to see what God does here in Jesus Maria this summer... and how He will use all of the people coming! PLUS, I love the craziness that comes along with all the people coming. I really enjoy when things are crazy busy for a time. Well that is all for now. I know this is a kinda lame post... but I have been enjoying the quiet! Here is a blog from a coworker, Rod--- it is about our need for property for our church! if you have missed the last two check them out! This will be the final part ... at least for now! 1. It is more rude to say "no, I can't come" then to just not show up. 2. Did you know that you WILL get sick if you workout and then walk outside without a sweatshirt on? They also don't open the windows to let cool air get in while working out. I guess they are use to that... I am not. I want cool air! 3. Speaking of sick. When you get sick they will give you 1001 remedies for your symptoms. I got sick a few months ago and I was told everything from chili powder on my feet to eating certain foods in certain mixtures. AND when you are sick you NEVER eat or drink anything cold! 4. There are about 10,347 speedbumps near where I live. While speedbumps are created to keep people driving slow.... Here they speed up as fast as they can between speedbumps and then slam on the breaks when they get to them. This is especially true for public transportation. 5. The police here carry giagantic guns. Especially when someone is working on a ATM. It still catches me off guard sometimes. 6. Buying in bulk isn't cheaper here... and sometimes it is even more expensive. 7. The food stands on the street ... yummmmmy! How can it not be yummy almost everything is fried!! I am sure they aren't always the most sanitary--- but i've never gotten sick! Quesadillas are NOTHING like at home. They are made of corn... fried and soooo good! Tacos also nothing like home either. how do you explain them other then sooo good! 9. Often times there are random wires hanging down. I dont know if they are live or not... but it can't be safe! 12. Everything is "suppose" to open around 10am. But, don't plan on it! Just sleep in! 13. There is ONE gas station (pemex) and the government owns it. They tell you its not a monopoly. 14. You eat at different times. Like lunch at 2 or 3 and dinner around 9. But dinner is something small like bread or popcorn. Once you get use to it, you realize you actually like that schedule! 15. if someone shows you the back of their hand when saying "thanks", it is normal. Although the first time you see it you think its some obscene hand gesture. 16. The police drive around with the lights on just because and sometimes the sirens! 17. You have never experienced public transportation UNTIL you fit 15 people in a volkwagon beetle OR rode the metro in rush hour! 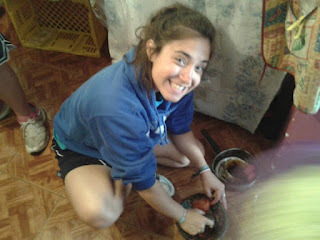 Part Two: Quirkiness of living in Mexico! If you didn't get to see part one of this series click here! I thought it would be fun to show you all at home the differences of living in good ol Fremont NE and here! It seems to always be an adventure here ... and I love it! 1. Cars make noises. I am convinced that people who have lived here thier entired life don't hear car alarms or horns anymore. Seriously. Car alarms are ignored and everyone is constantly honking at each other (as if it will help). 2. Anyone driving a car, bus, combi, moto, bike, scooter, donkey, horse.... they aren't afraid to hit you. That is why I always feellike I am playing the game of frogger! 3. Speaking of cars.... i think there is some hidden language with arms and flashers when driving. You turn your blinker on and it means nothing, but if you stick your hand outside you get to move over. And I am pretty sure if you put your flashers on... you can do anything while driving! 4. 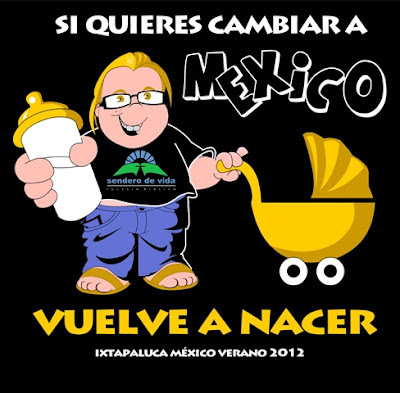 People think it is "cheap" to live in Mexico. And somethings are... like my rent is 2200 pesos a month(about 180 bucks). BUT... you can guarentee that you will have to tip 10 people a day. You have to tip the people bagging your groceries, "helping" you back up your car, taking out your trash, etc etc. 5. I think there are two times in Mexico. Late and later. Just know that you can show up between 30-45 minutes "late" (which means the time they gave you) and still be there before anything starts. 6. Any day or time of day electricity or water can go away for no reason at all. Although i have been fortunate and it only goes out a few hours at a time, it has the possibility to go out for days! 7. There is no such thing as a quiet night. I have a fan in my room to help block out the noises of outside. All night there will be dogs barking, people racing motos on my street, and parties happening! 8. Fruit is CHEAP... electronics are not. 9. Everyday plans will change about 15 times a day.... and if you have a to do list... count on only one thing getting done! Whether the place your going is closed, or someone invites you to come eat with them... plans always seems to change! 10. The potholes and manholes can be big enough to eat your dog or child and maybe even your car! 11. I think people wash their car.... everyday! I also they they sweep their driveway and sidewalks everyday too. 12. You can buy almost everything on the side of the road, or while driving your car. It may not be legit but its usually cheaper! 13. There are sidewalks nearly everywhere and NOBODY uses them! 14. When you ask for directions from someone they usually won't know what they are talking about, but they will sound like they do! 15. Personal space doesn't exist in this culture... at all! Looks like i have enough for a part three in the near future! keep looking! It seems it is the seasons for my really close friends to either be getting married... or got married this last weekend! I made the trek to Disney World for Beths dream wedding! I have known beth for about 10 years and we have been pretty close for about 6 or 7 years! I was even there for the birth of her precious little girl 4.5 years ago! Anyways, she made very beautiful bride, the ceremony was perfect, and we had a blast! 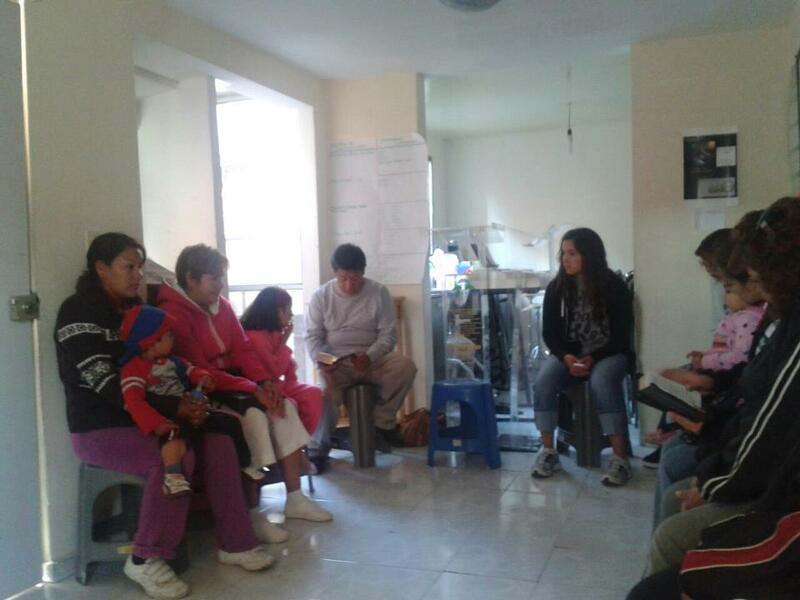 Today we had our leadership recognition for our young but rapidly growing church plant in Jesus Maria. It was a great (and long) service. A ton of people took part in today's festivities... whether it was presenting the two couples with a "gift" to remind them of what it means to be a pastor or elder, the youth doing a skit, singing, dancing, praying, preaching, cooking, etc. and a few more of the morning festivities! 1. I can't just put my trash outside and have it picked up. A giant truck comes by everyday (well it is suppose to be everyday, but realistically its a couple times a week). First a guy comes by ringing bell telling us the truck is on its way. Then you wait, anywhere from 1 minute to 2 hours for him to make his way to your street. You have to be home when he comes or you can by like me and sprint home when i hear his horn! Then you take your trash out to them... give them some money and they go about your day. 2. No one ever has change... not even walmart. If you use anything bigger then a 100 peso bill (about 9 dollars) you just pray they can provide change! 3. Water. Everyone knows you can't drink the water here. But, how do you get water? Well, i have to be home.... when i hear someone yell AGUUUUUUUUUA. Then I hand him my 20 liter water bottles to go and fill up. I pay him 10 pesos (about 90cents) for one 20 liter thing. 3. My kitchen facet. You have to have patience for this. If you turn the knobs too much or not enough it won't turn off. It makes me smile watching new people try this! 4. Gas. Agian you have to be home... seeing a trend here? I know why people can't work! When i hear GAAAAAAAS i run outside and flag them down. They exchange my tank, pay them etc. I think normally they come everyday unless i need them. I have chased after the gas guy and paid him extra to come back near my house! 6. Someone said that a motocycle or Moped (is that spelled right?) is a family vehicle. It is true! Ive see 2 adults, 2 kids and a baby on one once! 7. The random people driving, biking, or behind a donkey selling things. This can be bread, frozen popsicle like things, tortillas, furnature, tomales, etc etc. And they YELL! I am impressed they have a voice left at the end of the day! 8. My neighbor. Ok i don't think SHE is normal! But, she does provide me constant entertainment and always expect to be suprised by her... whether it is her playing with fire, thowing things at my door, or arguing with my dog.... its always interesting. 9. Typically in Mexico they use their ovens for storage. They usually lack storage space, so why not! 10. "Mary Boxes" thats what Tiffany and I call them anyways. They are everywhere. Small shrines of mary. Different parts of they year Mary gets to come out of her box. I have sat next to a giant mary in combis ect. 11. My stove/oven. It was free so i am not complaining here. BUT, i have to put a chair in front of it to keep the door closed in order to bake anything. annnnnd have to check it every two minutes because the temp goes up and down for whatever reasons. My stove... well only one burner really works... and the others kinda work. 12. Banking/Money system. Gone is the days when I can pay all of my bills online. I have to travel to all the buisnesses to pay the random bills like cell phone, or internet. My landlord comes knocking on my door once a month wanting rent .... in cash! And Lord help you if you have to go to the bank to pay a bill. The line is usually out of the building. You can wait anywhere from 10 minutes to HOURS! And that is normal! 13. Parties are BIG! There typically isn't such thing as a small gathering. Lots of food, lots of people, sometimes inflatables, and lots of time. I think they are typically a lot of fun! 14. No heating or airconditing.... The myth that Mexico is always hot... well its wrong. In the winter I can see my breath in my house. And this time of year i sweat until about midnight in my house! 15. If you go to someones house. Expect to be fed EVEN when you say no! There have been several times where I would go talk to someone and be there for an hour or two... and them keep shoving food in front of me! I am excited about the future! There are a lot of fun things just around the corner! ... this weekend we have our recognition serivice for our first pastor and elder of our little church plant! So, we will be busy with that... plus I have a family hanging out at my house all weekend! ... Myhiah is coming in on Saturday. She will be interning here this summer. She will be here around 2.5 months! ... I fly out next thursday to be with one of my best friends in florida. I am very excited I get to celebrate her wedding with her! ...the other interns and visitors will arrive later this monthish. And there will be loads of fun things going on with them!